I had to move my luggage from Mumbai to Bangalore. I selected the services of Sainik packers as they gave the lowest quotation and the person who visited the house(Mr Ajay Walia) was very assuring and respectful. But this decision became a nightmare once the packing started. The workers were highly unprofessional and rude. They were mishandling the household stuff. I was promised the packing would be done by 5 pm and they weren’t finished even at 9 pm. Their packing material got finished mid-way and they took a break of 1.5 hrs to get the material. While all this was bearable, the next day I received a call from Mr. Ajay Walia that I need to pay the entire amount or else he would not move the truck. His tone and manner completely changed and he threatened me that I won’t get the luggage unless I pay full amount in advance. These guys take advantage of your situation because they know that your luggage is with them and you can’t do anything in this situation. Finally we paid half of the amount as advance. I was promised that the luggage would take 3 days(max 4days) to arrive at Bangalore. But then he started delaying it citing transportation reasons. The packing was done on Friday and the luggage arrived next Friday. When I received the luggage- I found that my double bed was completely broken. It was beyond repair and now I have to spent some 30-40k to get a new bed. I had 12 plants pots and I received only 3. On enquiring about the plants Mr. Ajay Walia said that they got damaged and hence he threw them. I don’t know who gave him the authority to discard my stuff. I also received multiple calls from Ajay Walia to take insurance for luggage and car. I was told that its an insurance cover from New India and the rate is 3% for Car and 1.5% for household stuff. The amount was added in my bill. Later I understood that there is no insurance and it is just a way to add to their billing. About the car- I handed over the car to Mr. Ajay Walia with 30 Lts of petrol. When I received the car in Bangalore, it was in a very poor condition with zero fuel. The person didn’t even deliver the car at my address and asked me to collect it from some highway. He also took Rs.500 for petrol. When I started the car, I found there was no petrol. I was stranded on the highway with no fuel in my car. I also had to spent Rs12, 000 on servicing of the car as the suspension and few other parts were damaged. Looks like the car was not transported through container, rather it was driven from Mumbai to Bangalore. While Mr. Ajay Walia was threatening me, I called up their head office in Bangalore to sort out the issue and found that Ajay Walia is not associated with Sainik packers. He is illegally using their name to run his business. 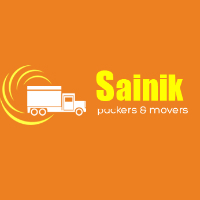 So my suggestion to anyone opting for Sainik packers is that he should contact Sainik Packer’s official number to check they are dealing with the genuine company and not some fraudster. In all I have decided that I would never opt for cheap, third-class vendors like Ajay Walia. It is better to pay more and go with professional movers and packers instead of undergoing this kind of mental harassment and financial loss.